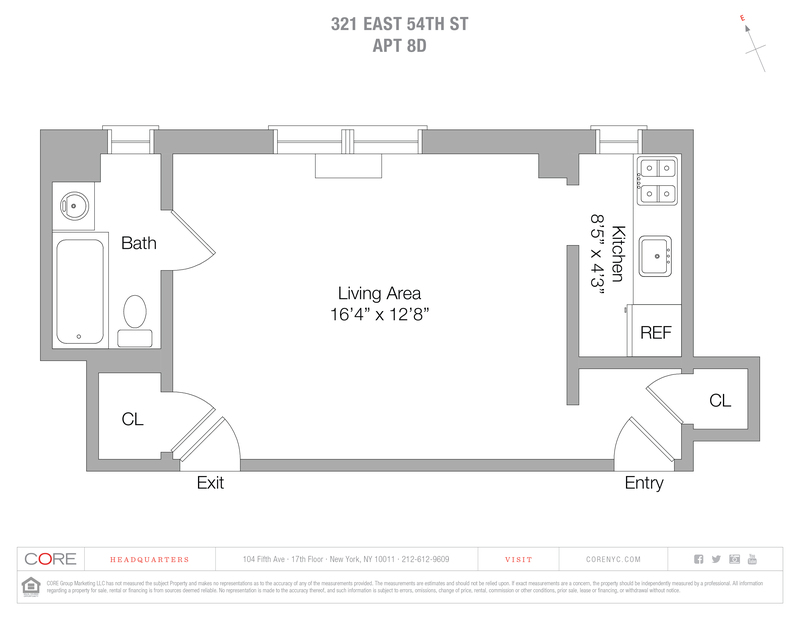 Looking for an affordable apartment in a pre-war doorman coop in one of Manhattan’s classic neighborhoods that doesn’t require formal board approval? Look no further. 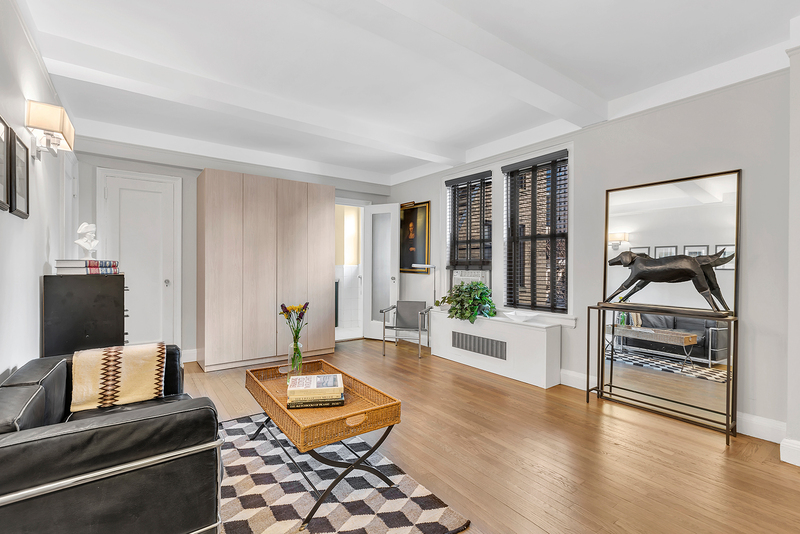 This well-laid out, airy studio has newly refinished hardwood floors, tall beamed ceilings and double-paned windows in every room with lots of light and city views. All of the electrical outlets have been updated, and both the kitchen and bathroom have been upgraded.